Not only does Area Appliance Service specialize in Wolf large appliances, but we repair and service ALL major appliance brands as well. Our friendly, professional and prompt team fixes Wolf cooking appliances such as ovens, stoves, ranges, cooktops, and more. You name it, we repair it! If for any reason you may have a question, please give us a call at (847) 459-8070 to speak to a live Wolf specialist. We may also be reached online by filling out our online form and we’ll get back to you immediately. We can help repair your broken Wolf appliances. Area Appliance Service is the TOP Wolf appliance repair company in the Buffalo Grove and Arlington Heights. Expanding to the local suburbs as well. You will rest assured knowing that you’ve hired the best Wolf appliance repair technicians. 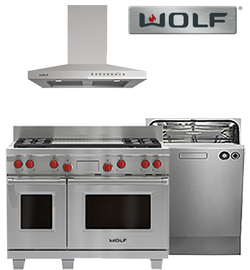 Our company has 60 years of great service, on-site experience in repairing and replacing Wolf cooking appliances, fantastic customer service, and are on-time. Our dedication and commitment will get you and your family back to your normal daily routines and your kitchen appliances running like it was before it malfunctioned. We are licensed, bonded and insured for your protection. Our vans are stocked with the most common Wolf parts and supplies, as well as, all other major brands. AAS has the capacity to expedite the repairs on your Wolf equipment SAME-DAY to your condo or house. We DO NOT service or repair Wolf manufacturer’s warranty work. If you would like to get manufacturer’s warranty service, please refer to your Wolf appliance owner’s manual for their warranty customer service department. 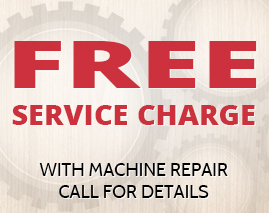 Schedule Service for Your Wolf Appliance Today!